Gateway Rail Services, Inc. is located just across the Mississippi River from downtown St. Louis, in Madison, Illinois. Our facility occupies a portion of the former Chicago & North Western's Madison yard - the southern terminus of the Litchfield and Madison Railway – the original St. Louis Gateway Route. Our clients benefit from our ability to directly interchange with the Union Pacific Railroad (UP) and the Terminal Railroad Association of St. Louis (TRRA), as well as all St. Louis connections reached through the TRRA. The St. Louis AMTRAK Station is accessible immediately across the river via TRRA. Located near the geographical center of the country, and served by many major railroads, our facility is easily accessible to our clients' cars, whether from the north, south, east, or west. 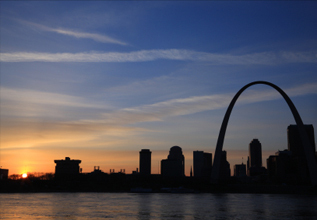 St. Louis is a major metropolitan center, served by AMTRAK and several regional and national air carriers. It is also the cross-roads of several major national highways and interstates. Our many shop buildings allow us to segregate dirty teardowns from detailed rebuilds. Outdoor work areas also provide space for time-critical jobs most months of the year. View Your Current Project: ID Pass forgot password?